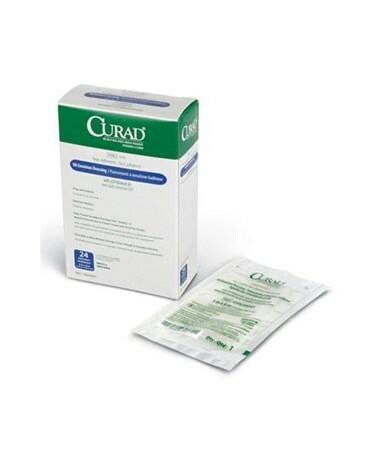 Curad Sterile Oil Emulsion Gauze is a highly conformable dressing ideal for most draining wounds including burns, suture lines, lacerations, skin ulces, episiotomy incisions and abrasions. 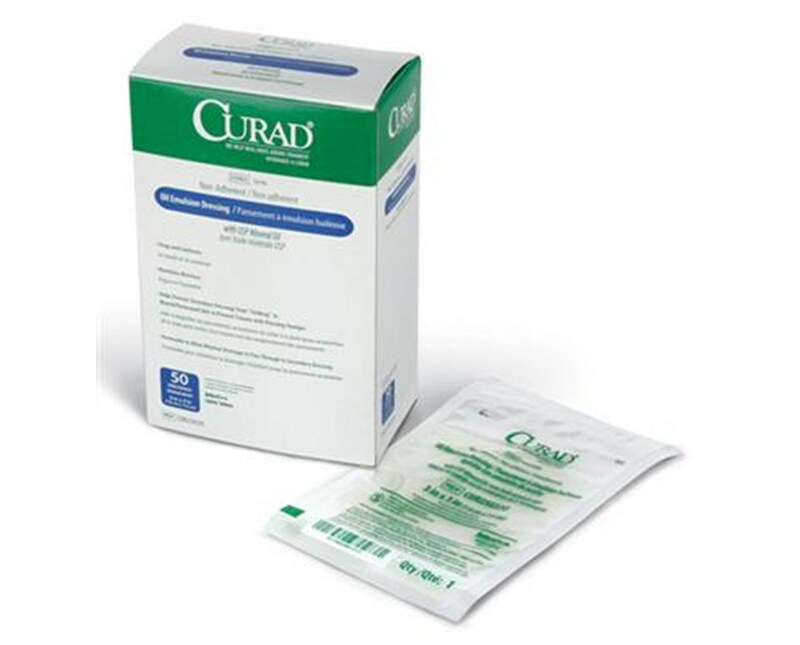 Knitted, high porosity cellulose acetate is evenly impregnated with U.S.P. 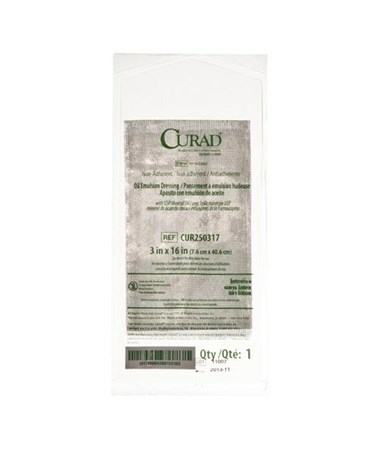 white petrolatum in an emulsion blend that permits the flow of exudates without adhering to granulating tissue and minimizes skin maceration. 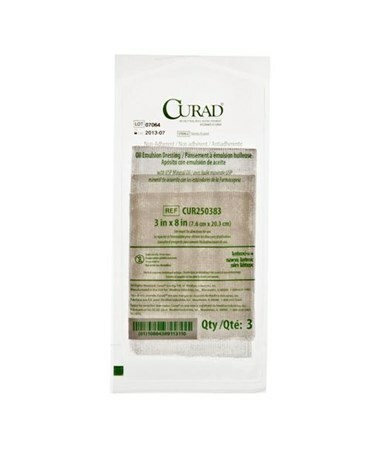 This gauze is designed to be used directly on the wound, beneath an absorbent secondary dressing. We offer Curad's Sterile Oil Emulsion Gauze in three sizes and three quantities for each (options vary for each product). Select from the drop down menu above and order online direct by clicking "add to cart!"